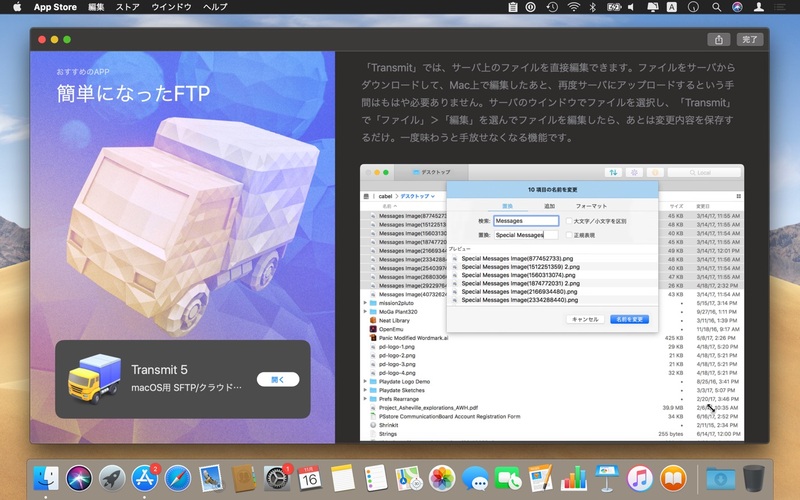 PanicのMac用FTP/SFTPクライアント「Transmit」がMacAppStoreで販売再開。2,800円/年のサブスクリプション制でシステム要件はmacOS Mojave以上。 | AAPL Ch. Since then, a lot has changed. macOS Mojave gave us a significantly improved App Store that caters to professionals like yourself and seems to treat apps with respect. And sandboxing has evolved enough that Transmit can be nearly feature-parity with its non-sandboxed cousin.So, as we promised at WWDC: it was time to give this another go. 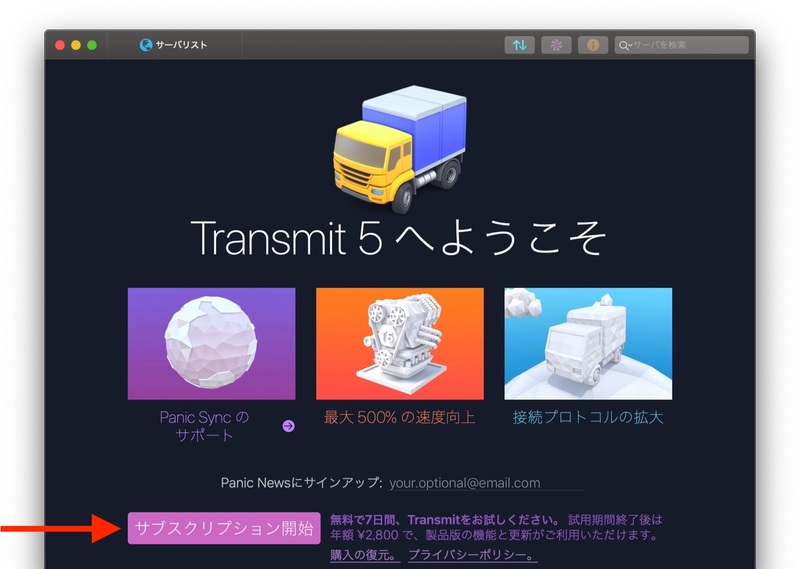 You can now get Transmit 5 on the Mac App Store!